Kiefer Sutherland is something of a mystery. 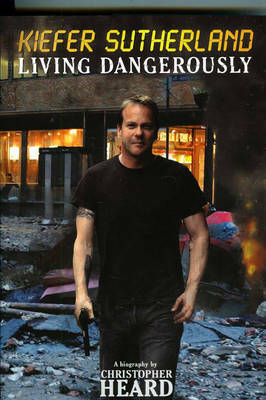 Known to millions as U.S. antiterrorist agent Jack Bauer from the cutting edge TV show 24, his origins are common knowledge. He is the son of celebrated Canadian actors Donald Sutherland and Shirley Douglas. And he has achieved fame as the highest paid actor on television. His private life is no secret: two failed marriages, binge drinking, public embarrassment, arrests, and even jail. And he doesn't try to hide it. He admits to it all: every fault, every failure. He should be an open book. But he isn't. Author Christopher Heard takes us in for a close look at this enigmatic actor. From Sutherland's troubled adolescence to his initial successes with the Brat Pack, through his time in career limbo, Heard pieces together a portrait of a man of extremes: a yearning son and an absent father, a star and a has-been, a drunk and a convict. Then Heard takes a deep look at Sutherland's character of Jack Bauer and finds that Sutherland has molded nothing less than a new American icon, the rightful heir to the cowboy and the noir detective, using the raw material of his own life to do so. It is an icon suited to our times and our needs. 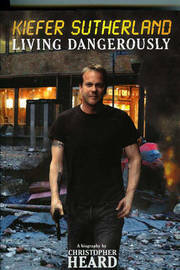 This is Jack Bauer, but this is also Kiefer Sutherland.